What do you do with boys when it rains for seven days in a row? 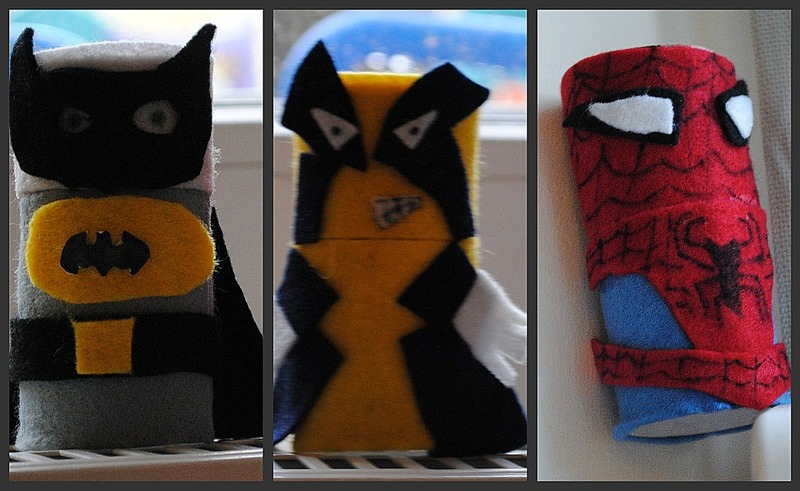 You make an army of Toilet Paper Tube Superheroes! What do you need to create this army? Now that you’ve gathered your supplies, it’s time to map out your plan of attack. Details and labels are very important. A snip of felt here. A bit of glue there. And the Avengers were ready for action. Spiderman was up for a web-swinging challenge. What’s a bunch of Superheros to do without villians to defeat? “Holy Toledo, Batman!” We better go collect a few more TP rolls. These are hilarious and awesome! I love it! 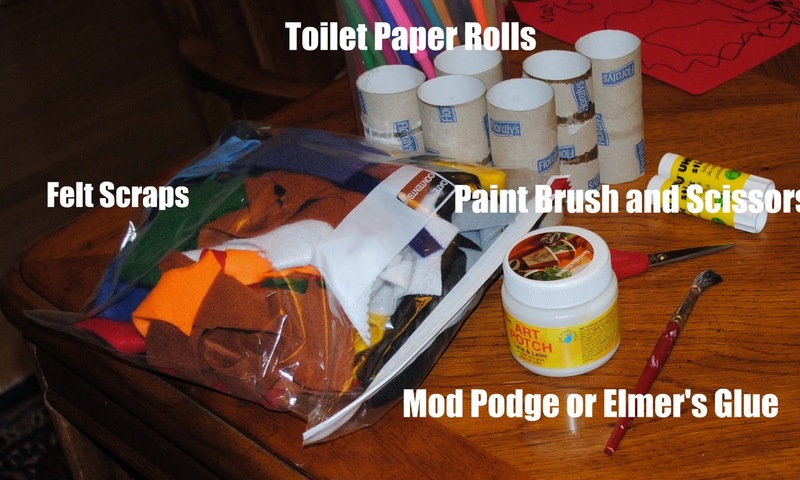 I am going to have to try this project with my superhero loving boys! These are the coolest things! I can't wait till my little guy is big enough to make them! Seriously, these are too cute and awesome and too much fun. Love it. SO FUN! You are an AWESOME mom and my son would LOVE to hang out with you. What a great craft for little boys. Thanks for linking with What little boys are made of! Oh my gosh! This is awesome! My son would flip over these! So cute!! These are totally awesome. Thanks for linking up to my Commercial Break. I love this idea. My preschool boy will love it too! This is too awesome for words. I LOVE this idea so much. Yeah! You linked up the superheroes of TP! I LOVE them! Thanks so much for sharing with my Pink Hippo Party! How cute! Now this looks like something my little son would love! Thanks for sharing. Wow what a fantastic way to recycle ! So cool, my boys would love this!! Oh, and also 3 boys here under the age of 5 (ages 4, 3, 1)…your profile is like a chapter right out of my "book"
I LOVE them! My boys would be all over these. We don't have felt fabric at home but we do have lots of construction paper. I should try it with the boys.